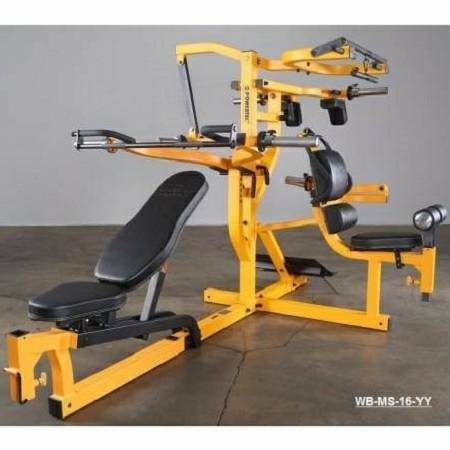 Powertec Fitness introduces the Newly designed WB-MS16 Workbench MultiSystem featuring “Isolateral Arms” for the Bench Press Station. Now users can exercise each arm independently or lock both arms together and use it as a Conventional Bench Press. The improved Foot Plate on the Squat Station has been re-designed in order to provide a wider surface area and support. The new MultiSystem also features a new Accessory Support Plate located on the inside of the bench frame accessory receiver tube, it is designed to secure all Powertec accessories. The new Accessory Support Plate is an added feature to all Powertec WorkBench Frames. The Powertec WorkBench Multi System is a complete leverage Home Gym that allows three people to workout at the same time. This three station system provides dozens of the best free weight exercises to build the entire body in leverage form. 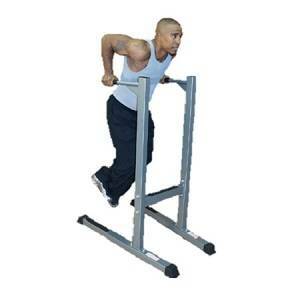 Leverage provides the safe, most effective method of resistance training available! The PowerTec Workbench Multi System WB-MS16 is the most advanced machine from the entire Powertec Leverage Series. Using a Leverage Machine has many benefits, the number one reason being safety. 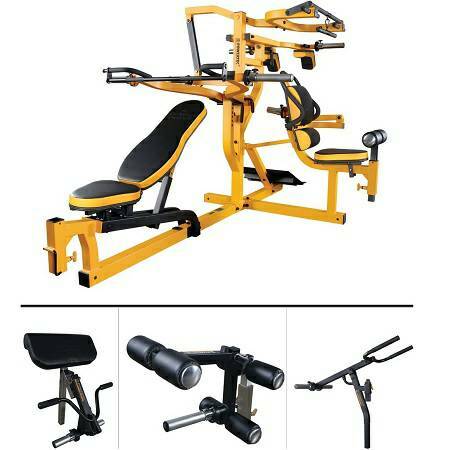 This machine offers the feel and resistance of performing a free weight exercise however it provides the safety and control of a machine. The Powertec Workbench Multi System WB-MS16 has three separate stations that can be used simultaneously by three individuals. This allows three athletes to work out at the same time or a smother transition when performing circuit training. The three stations provide a number of various workouts. 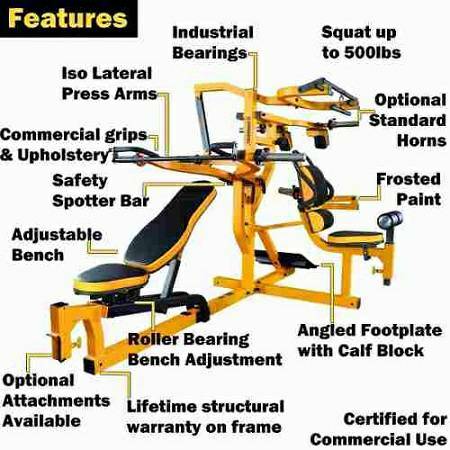 All designed to tone and perfect your muscles all from one solid machine. The Powertec Workbench Multi System WB-MS16 is built to last a lifetime. It's steel frames are coated with durable materials to make it solid and reliable. They also only use high tensile strength hardware in order to withstand heavy usage and stress. On top of that, all component parts are made with industrial grade materials to ensure a smooth and quiet operation. Each of their systems provides the proper tools to cut, shape and build your body because every piece is built tough and engineered to provide precise function. Powertec takes pride in their equipment and builds it with that superiority in mind. Powertec puts the extra effort into every step of delivering a quality product that they even take special precaution in their shipping procedures. The Powertec Workbench Multi System WB-MS16 allows you to strengthen every part of your body. Lever Press Arm - 500 lbs. Lat Pulldown - 400 lbs. The Powertec WorkBench Multi System WB-MS16 is constructed of 3" and 2-1/2" steel tubing with a 12 gauge wall thickness. Lever arms are driven by pillow block bearings. POWERTEC padding is industrial grade high density foam covered with double stitched upholstery. A durable baked on construction powder coating finish is applied to all "Workbench" products. The Powertec Workbench Multi System does not use any cables or pulleys making it virtually maintenance free. All "Workbench" products incorporate numerous patented features such as the unique linkage seat system allowing for precise and fast adjustment. Although this is a three station system the footprint is quite compact for a unit providing so much. A wall chart is included showing the exercises along with recommended "Leverage Workout". Finally POWERTEC brings Hammer Strength similar leverage machines from the gym into your home. With the WB-MS16 Improved top clearance will allow for 3-Person use at the same time. This gym provides multiple user access opening up a variety of applications from the home to many light commercial settings. The footprint remains quite compact for a multiple station gym. Increased Lat Exercise Options: Added inner lat pull handles give you additional exercises. With the WB-MS16 there are over 12 single station machines, each station is pre-set to provide its own individual exercise machine. The user can move quickly from station to station with minimal adjustments. 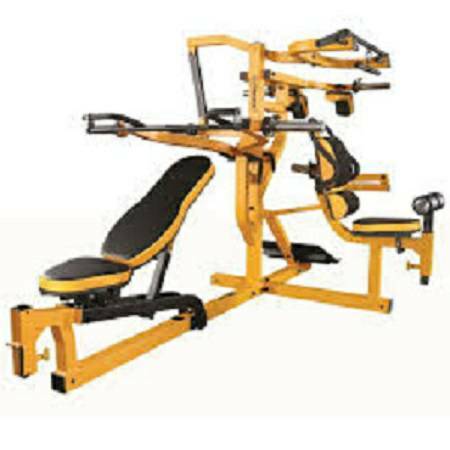 The position of the shoulder press is changed slightly from the previous model. Increased Back Safety: Back padding on the seat has been repositioned for better lower back support. The WB-MS16 LeverGym Advantage: Lever arms drive the exercises. Weight plates are loaded directly onto the lever which simply replaces the barbell thus providing the natural feel and resistance of free weight with the safety and control of a machine.